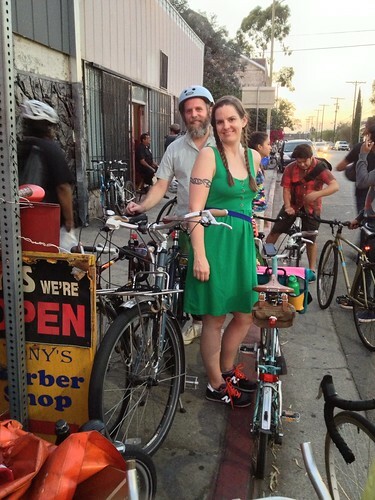 Bicycle Friendly Business (BFB) is an opt-in program that provides opportunities for businesses to participate in a variety of ways. 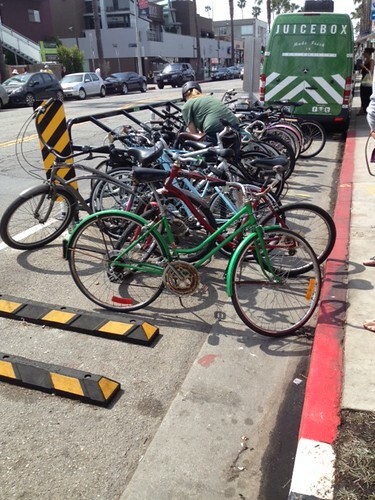 For example, BFBs may provide bike facilities on their premises or request Bike Racks, Corrals, and Repair Stations via LADOT’s various public programs. 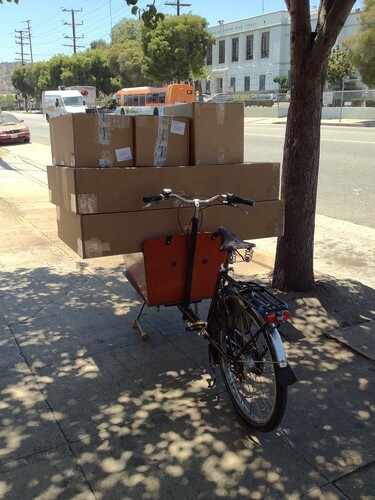 BFBs can also adopt Bicycle Friendly Business practices that provide incentives for customers to use bicycles, such as bicycle deliveries, discounts and giveaways, or amenities and services like loaner bikes and trailers. BFBs can also encourage employees to use bicycles by providing safety training, allow relaxed dress codes where feasible, financial incentives, bicycle lockers, and other perks. 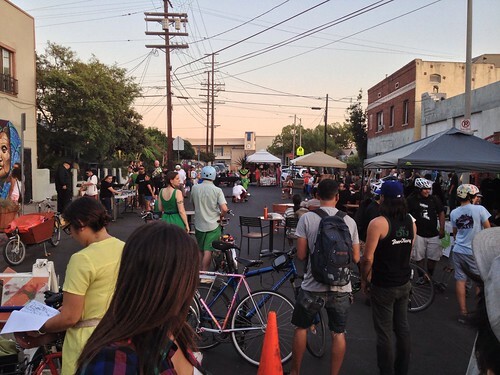 Businesses can increase their visibility by becoming involved in community events and bike advocacy, and by forming partnerships with local bicycle clubs. 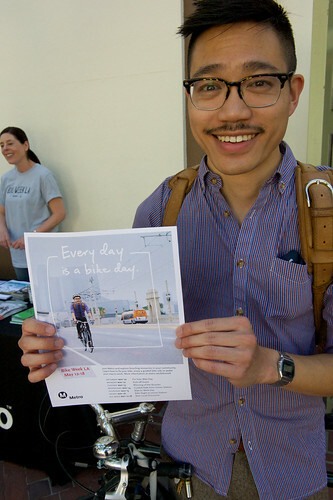 Participating in three or more ways will qualify a business for the Bicycle Friendly Business Program. For a full list of ways to participate, see the list below. Every day is a Bike Day! The BFB Program creates a public-private partnership between the City of Los Angeles and local businesses and communities. Both public and private partners contribute to the cultivation and success of Bicycle Friendly Business through various means of support and funding. 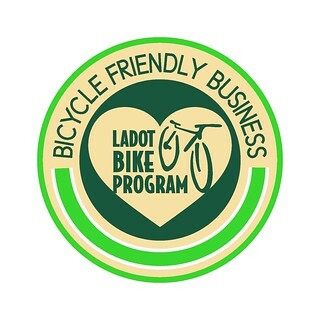 LADOT offers a variety of programs, publicly available and free of charge, that facilitate businesses in providing Bicycle Friendly amenities including sidewalk bicycle racks, Bicycle Corrals, and Bicycle Repair Stations. 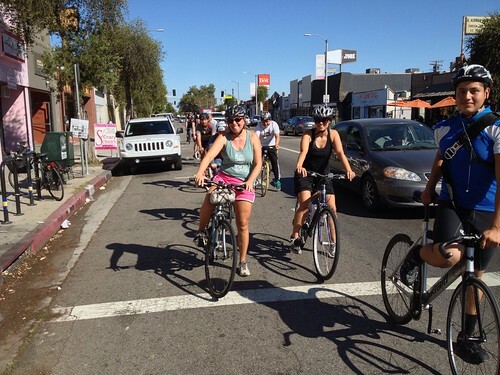 Businesses can apply for Bicycle Friendly Business certification online here. 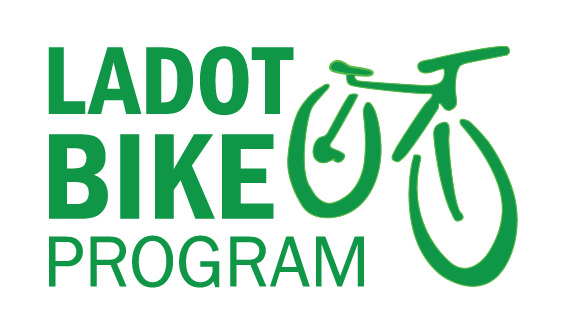 This opt-in program highlights partner-initiated Bicycle Friendly amenities and practices, and provides participants citywide exposure through promotional materials and a web-based directory of Bicycle Friendly Businesses.